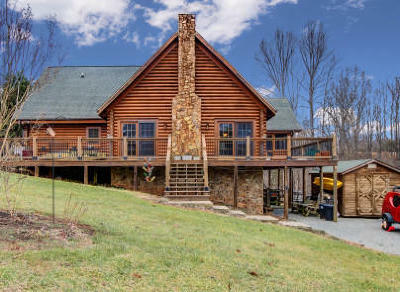 This Jim Barna built log home features 3 bedrooms and 3 full baths in an excellent location at Westlake area. Five minute from shopping, dining and marina. Walk to the community pool or to your boat slip! Kitchen features granite and stainless appliances. Cathedral ceiling and gas fireplace in living room. Mountain and lake views. Great wraparound deck for entertaining. This home is special.